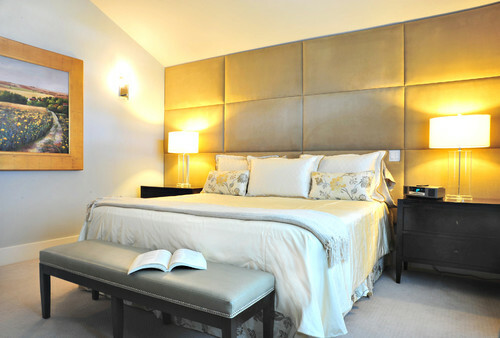 Not all bedrooms are created equal, but remember, size and style have little in common. 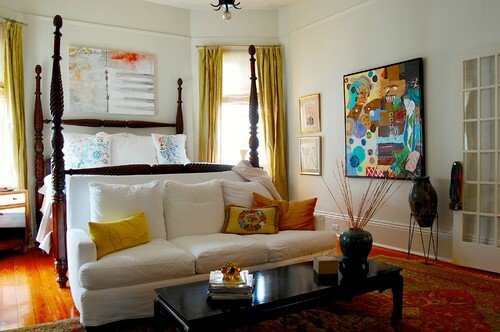 Sometimes, even the most compact spaces can feel chic and be brimming with personality. 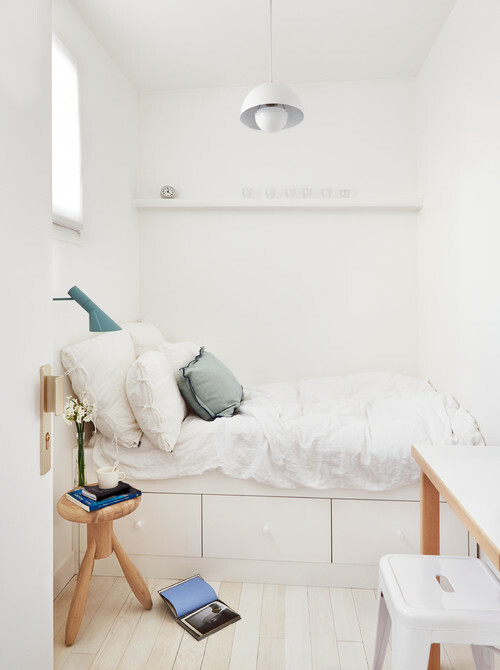 If you’ve been dreaming of a larger space but don’t have the square footage to work with, celebrate what you’ve got and make the most of your small bedroom. This shabby chic bedroom might break the rules a bit (the bed is placed in front of the window), but everything about the room is sweet and seems comfortable. The full bed just fits, and the space is accessorized well considering the size (it doesn’t feel cluttered). A bare bones London bedroom keeps to minimal furnishings, but has all that an occasional guest room needs. 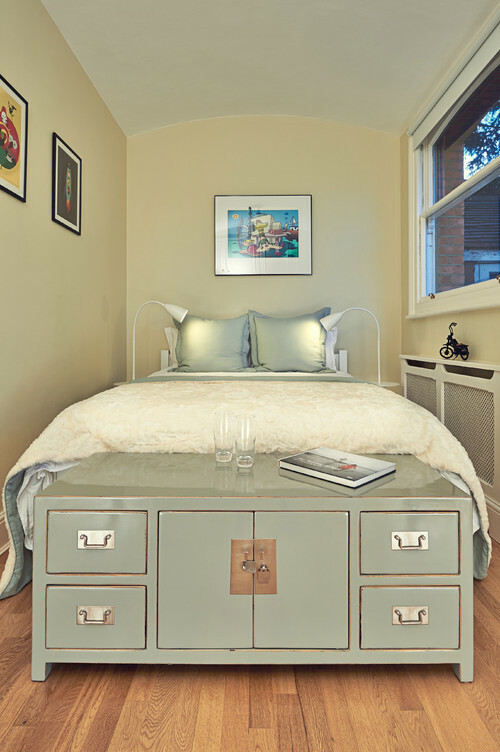 The credenza at the foot of the bed works for storage and adds a horizontal surface. 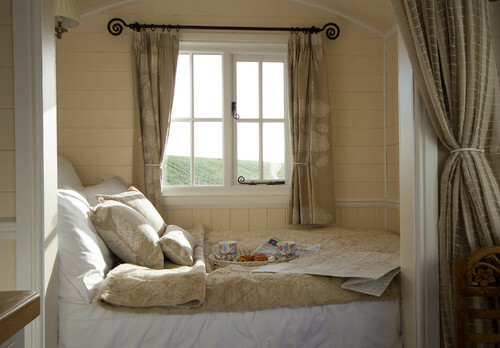 This adorable cottage bedroom sports a neutral color scheme. 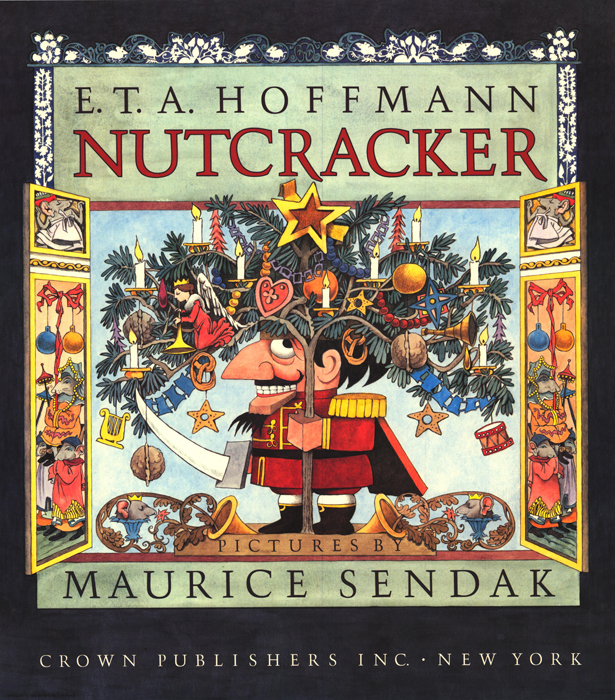 I want to crawl inside, read a chapter or two, fall sound asleep, and wake up to a croissant and cappuccino. That’s a great room. 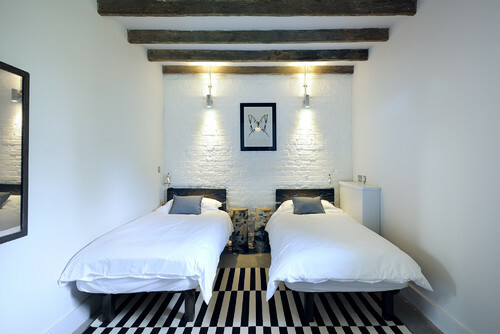 Furnishings go modern in this farmhouse bedroom, but the original brick wall remains a backdrop for the beds. A graphic area rug gives the room an industrial edge. 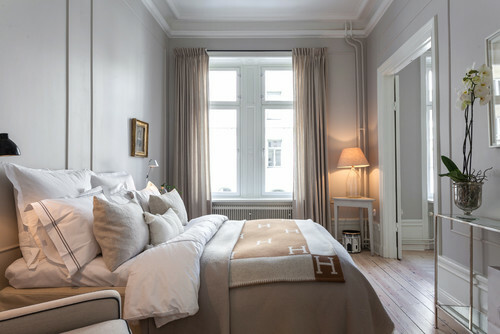 A Scandinavian bedroom keeps things modern and practical with built-in bed storage and a white color palette. 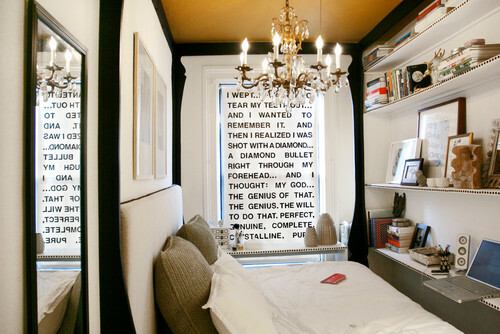 Small space, big style rings true in this New York bedroom that resembles a walk-in closet more than a room. Notice the carefully merchandised shelves and antique chandelier. When it comes to decor, sticking with neutrals might seem like the safest choice, but we’ve all seen those beige rooms that are completely lifeless. In other words, it’s possible to ruin the interior design even if you opt for white or tan. Sure, painting a wall red or cobalt blue requires a fair amount of gumption (and trial and error), but you’ll rarely label a bright room bland or boring. 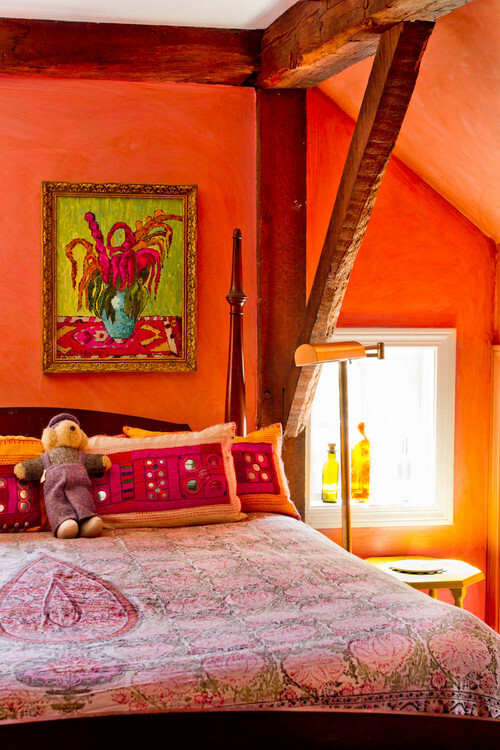 Let’s get inspired to decorate with color as we admire these five color-filled bedrooms. 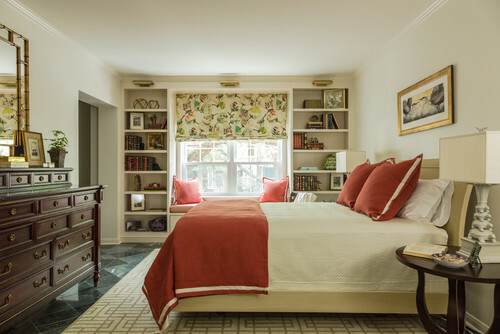 This New York farmhouse bedroom appears to get great light, so this bold wall color stays clear and doesn’t turn muddy. It might be the perfect shade of Chinese red. Owner Jeanie Engelbach certainly doesn’t fear color! 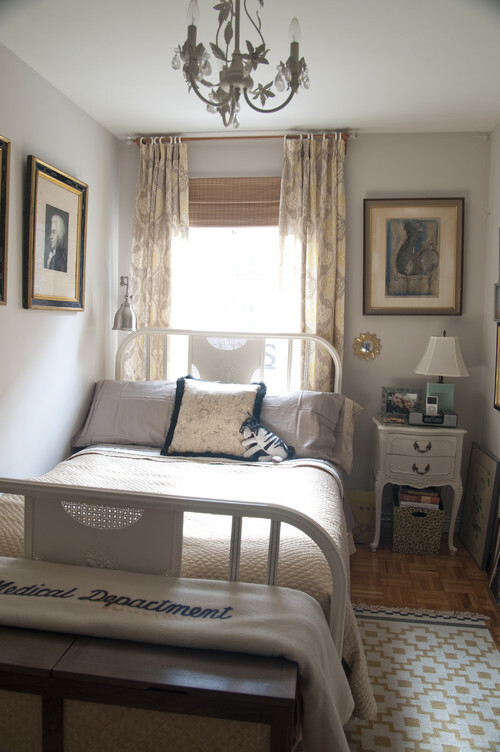 This New York City bedroom has a youthful, whimsical feel. She goes out on a limb introducing neon, combining it with classic bold tones and a muted robin’s egg blue on the bed wall. Somehow, it all fits. No, that’s not paint on the walls. That lush finish is silk wall covering. 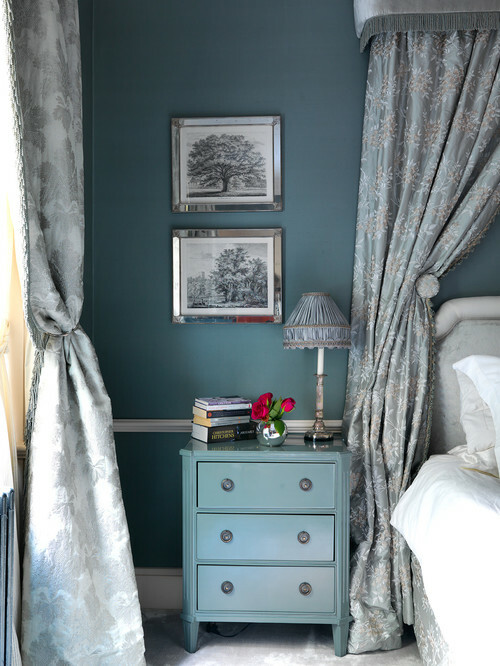 Although this bedroom isn’t bold, the color palette of varying blues isn’t easy to pull off. From glancing at this vignette, we can tell that this room is luxurious. 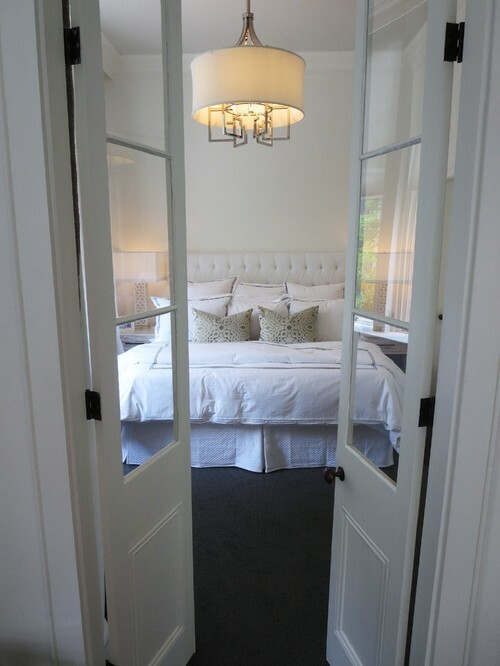 If you love spring, you’ll love the bedroom pictured below. 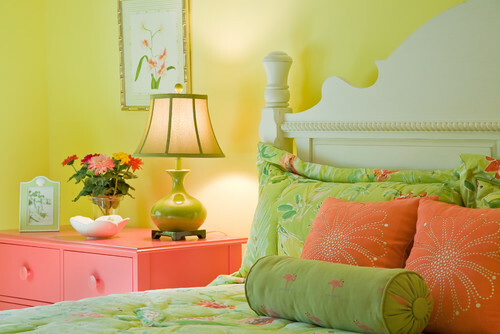 Spring green, lemon yellow, and bold orange come together to create one of the happiest bedrooms I’ve ever laid eyes on. This little girl’s room pulls out all the stops for sweetness. 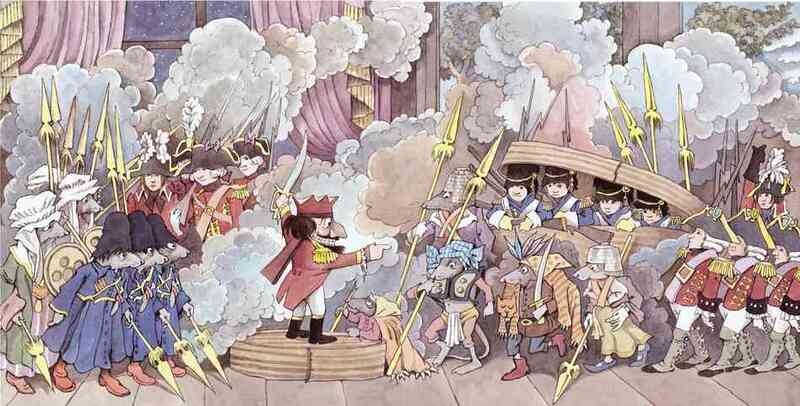 Different shades of lavender and fun artwork set the stage. Notice the lime green desk chair. It’s unexpected, but becomes the ideal accessory. 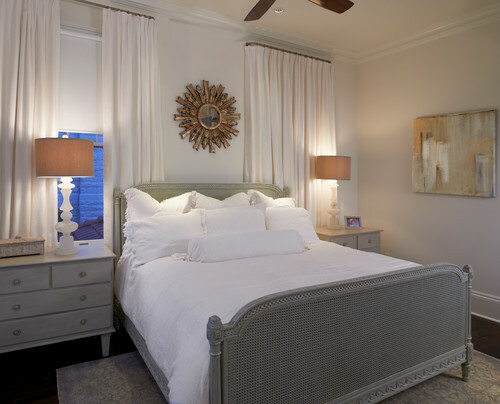 This Philly bedroom feels beachy, but it’s several hours from the coast. 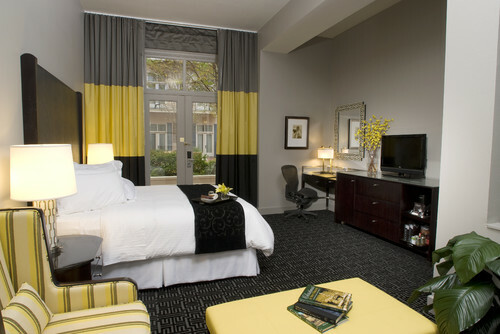 The throw on the bed picks up the black and white striped flooring perfectly.